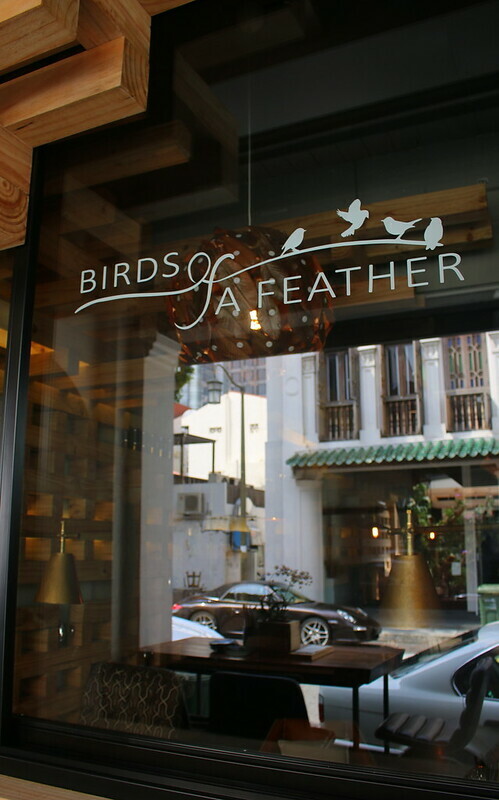 Birds of a Feather is a jewel of a retreat at Amoy Street. It's one of my favourite discoveries of 2016. The all-day dining cafe and bar is a haven of greenery and cosy serene space that's perfect for friends and kindred souls to flock to, as would birds of a feather. 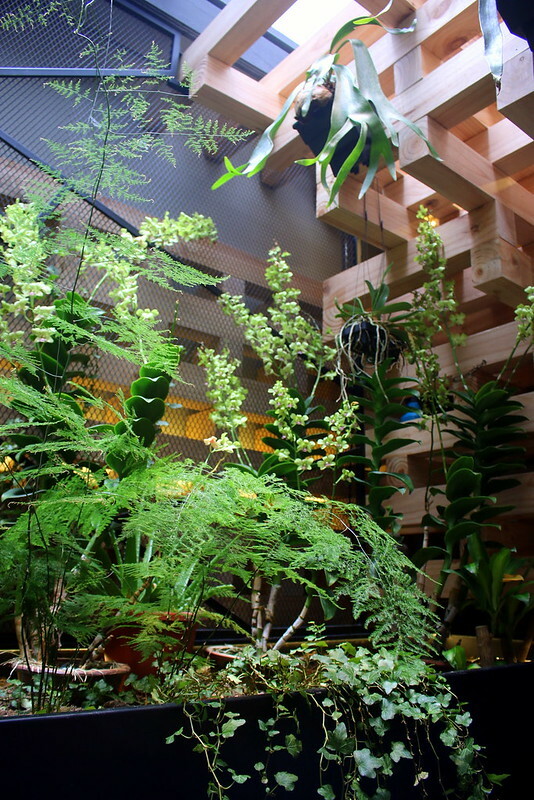 The greenery here truly sets the place apart from other dining places. The owner Mr Liu Bin takes care of the plants himself. I'm truly envious of that green thumb. I wish I could put my plants here for a boost. The abundance of natural sunlight and the cool air feels so good for the soul of all living things. 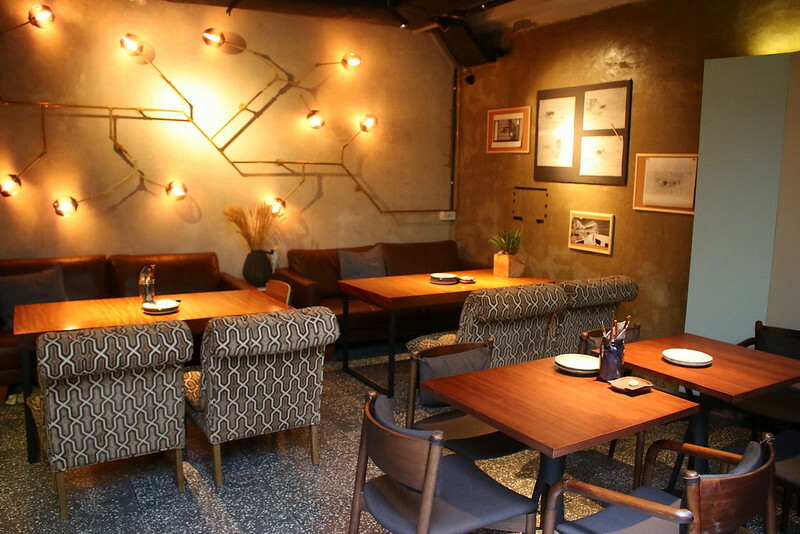 The eatery straddles two shophouses, so it feels spacious. Thanks to large skylights in the ceiling, the place is bathed in diffused sunlight but not glare. 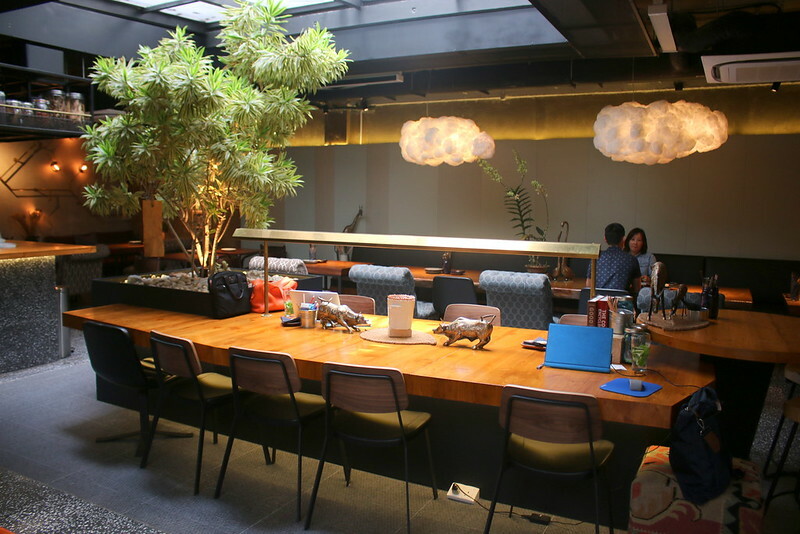 Furniture is an eclectic mix; large communal tables are surrounded by smaller nooks and seating of various types. Wood is a major element - used in partitions and the ceiling, on tables and counter tops - much of it handworked from native northern Chinese timber. Owner Mr Liu is from Chengdu, the capital of Sichuan, where he owns the Good Wood Coffee chain. He chose not to use the name Good Wood here as it can be confused with the unrelated Goodwood Park Hotel. The name Birds of a Feather is also a nod to Chengdu's city emblem, the golden sunbird. It's inspired by a 3,000 year-old relic that portrays the four sunbirds that protect the sun to ensure endless cycle of life. Chengdu is also said to be one of the most laid back cities in China, with parks, cafes and tea houses on every city street corner. I never knew coffee culture was that big in Chengdu. 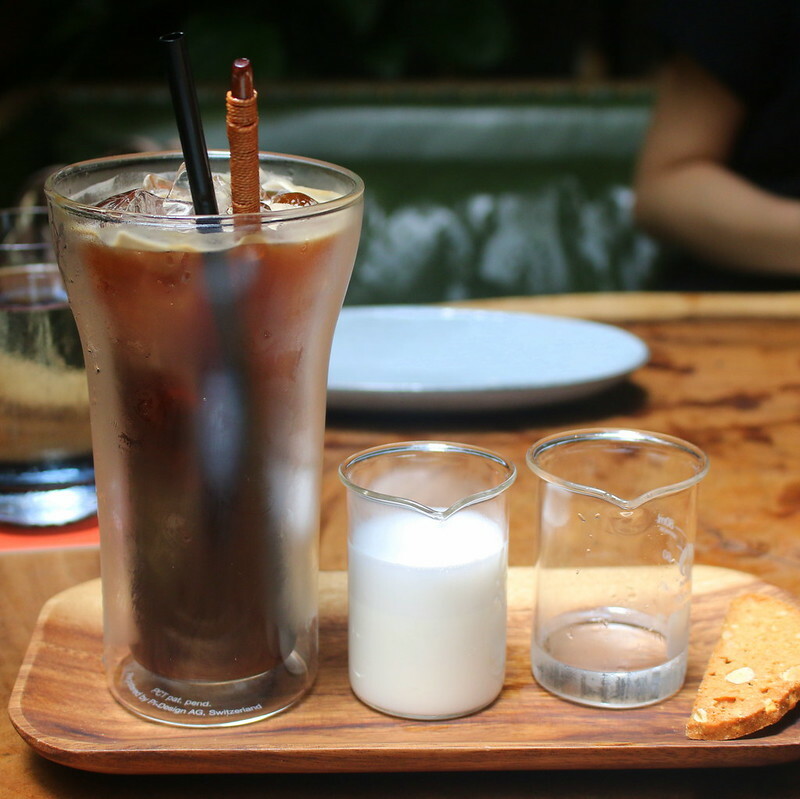 They've got a nice iced coffee at Birds of a Feather. 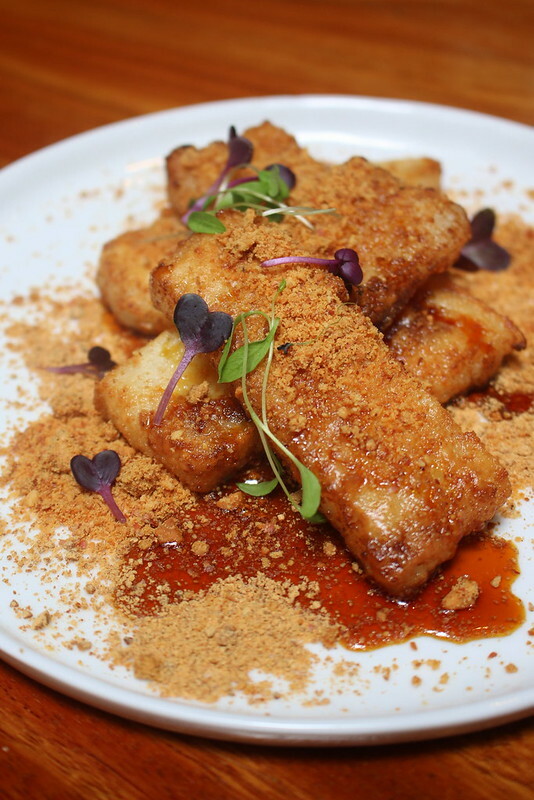 As for the food, it's mainly contemporary Western dishes given a Sichuan twist. 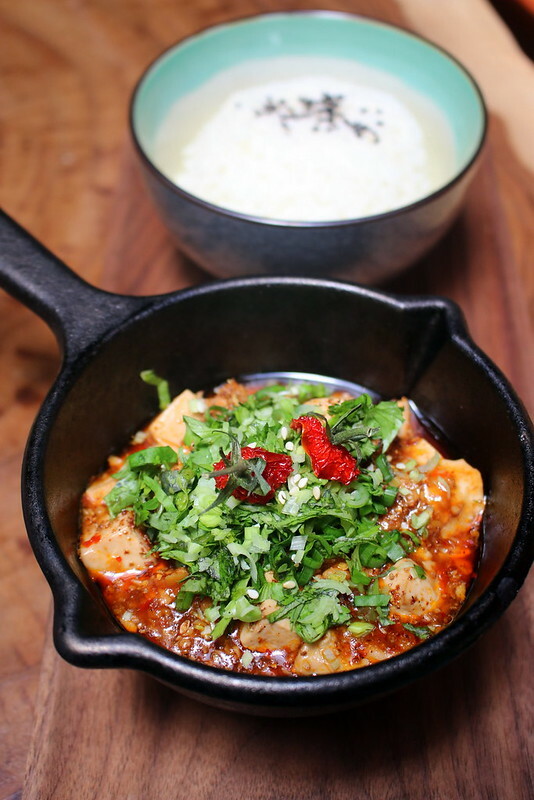 There are a couple of Sichuan classics like La Zi Ji (辣子鸡, first photo above）and Mapo Tofu 麻婆豆腐. 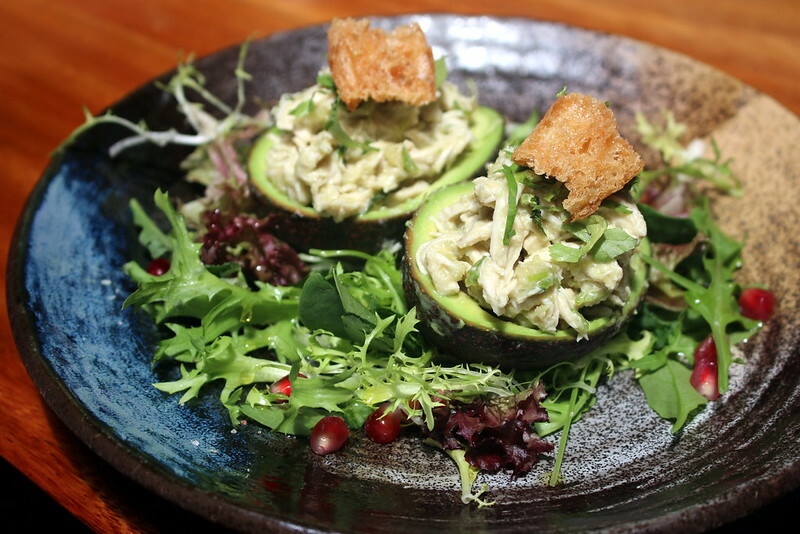 This is a creamy but refreshing salad of roasted chicken and avocado. 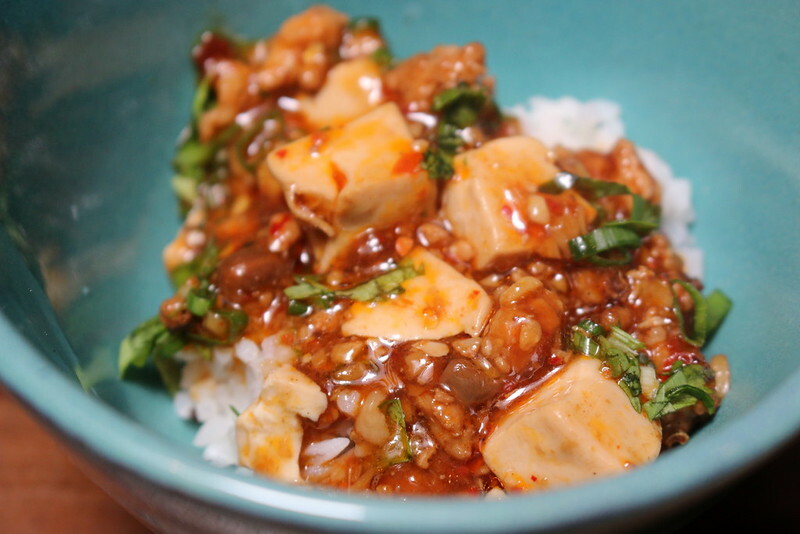 The Sichuan influence is pretty light here; you don't really taste that much Sichuan pepper in the dressing. The squid is encased in meringue batter and seasoned with a touch of Sichuan chilli powder. 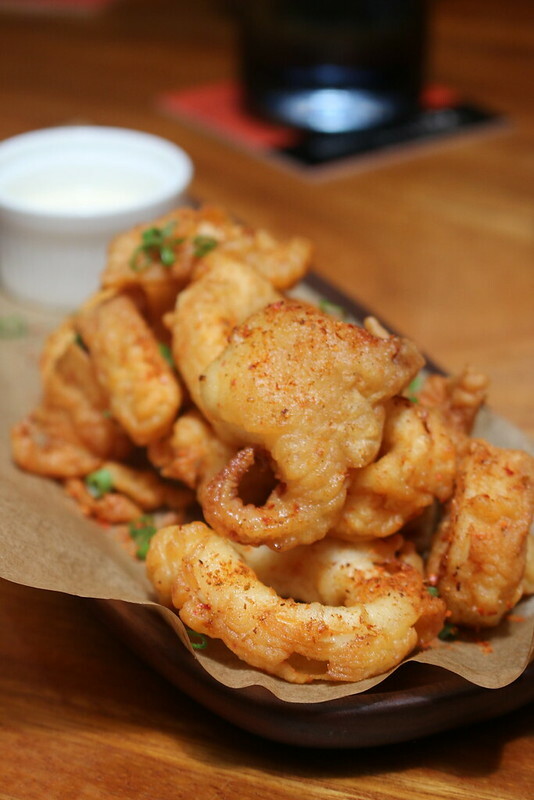 The yuzu tartar sauce, yuzu juice, and yuzu zest gives the calamari a citrusy lift. Now comes one small plate that's reminiscent of fun shaker fries. 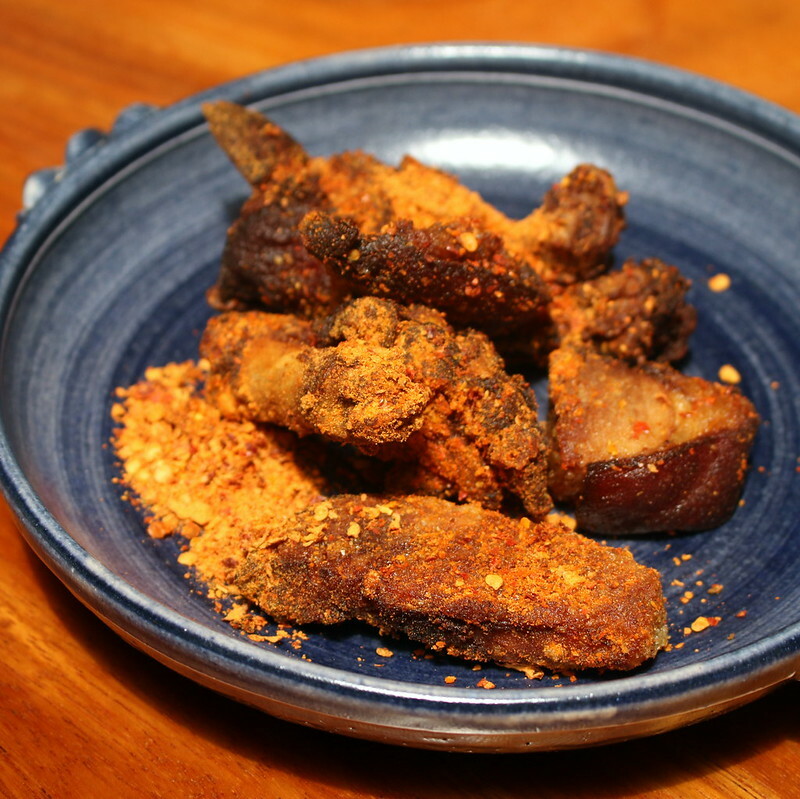 Pork trotters are first braised in Sichuan "lu shui" (braising liquid) and then deep-fried. 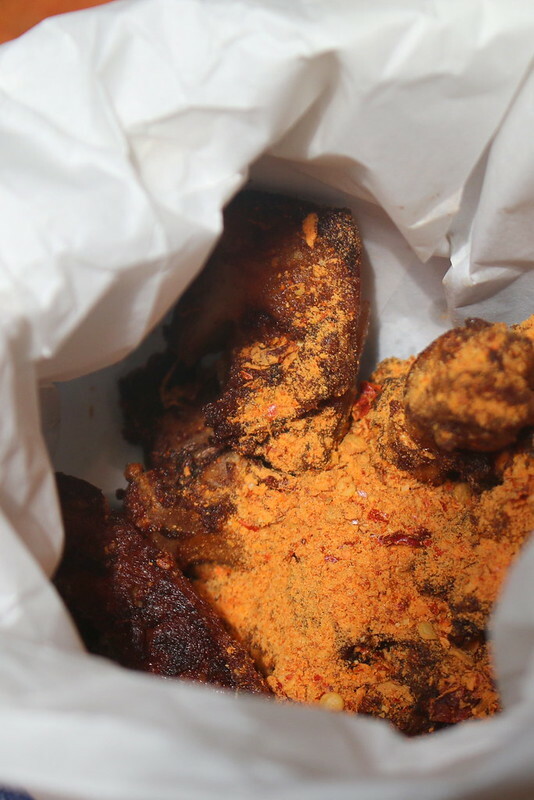 Into a bag it all goes along with Sichuan spicy soy bean powder for even tossing. The meat is surprisingly tender despite the deep-frying. We loved this one and wished the portion was bigger. This is an absolute MUST-TRY. The broth may look unassuming but it will blow your mind! It's a perfectly balanced potion of chicken stock made piquant using green chili, sichuan pepper and sesame oil. 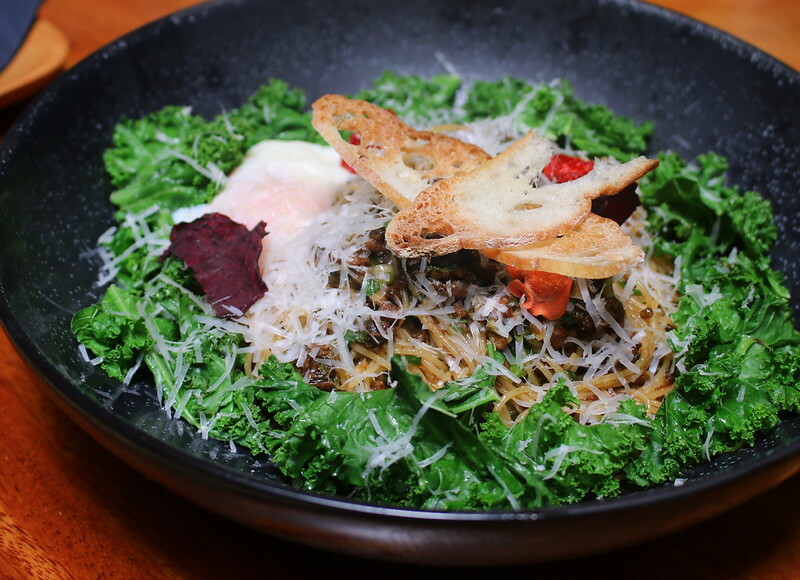 Add S$5 for Japanese arrowroot noodles; you will want to savour every last drop. Try your luck at selecting the skewers (there are about 15) to see what you fish out. It's a motley array of shrimp, lotus root, quail egg, broccoli, wood ear fungus, and so forth. But really, the ingredients don't matter as much as the insanely delicious broth. I was so happy to see this on the menu. It's one of my favourite Sichuan dishes. 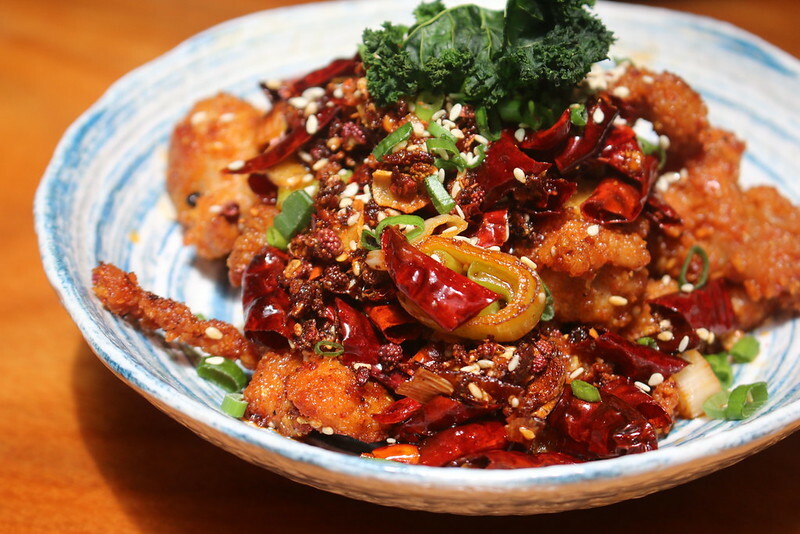 The diced chicken is marinated with Sichuan seasoning and deep-fried with so many dried red chillies, you have to pick the meat out carefully from the bright red mess. 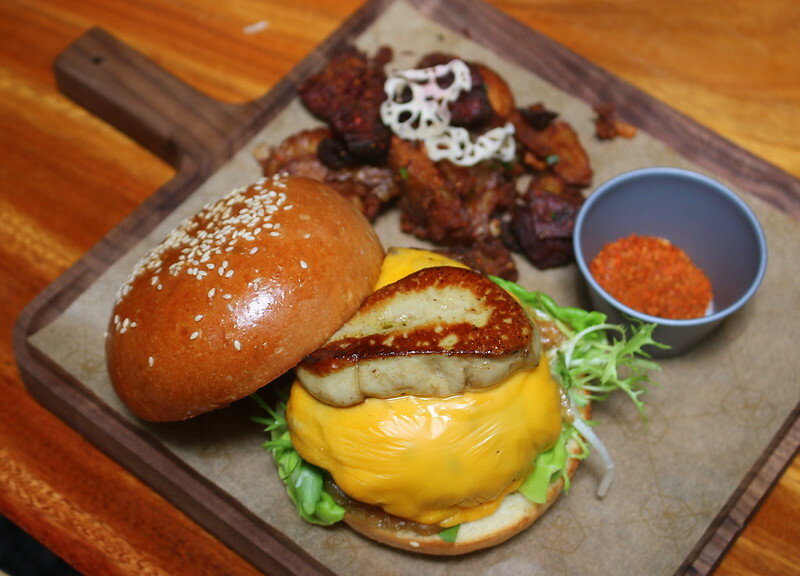 This huge burger comprises a charcoal grilled beef patty topped with a full slab of pan-fried foie gras, cheddar, caramelized onions and a chilli soy tapenade inspired by Sichuan ‘Dou Pan Jiang’. In the background are wicked sweet potato fries. 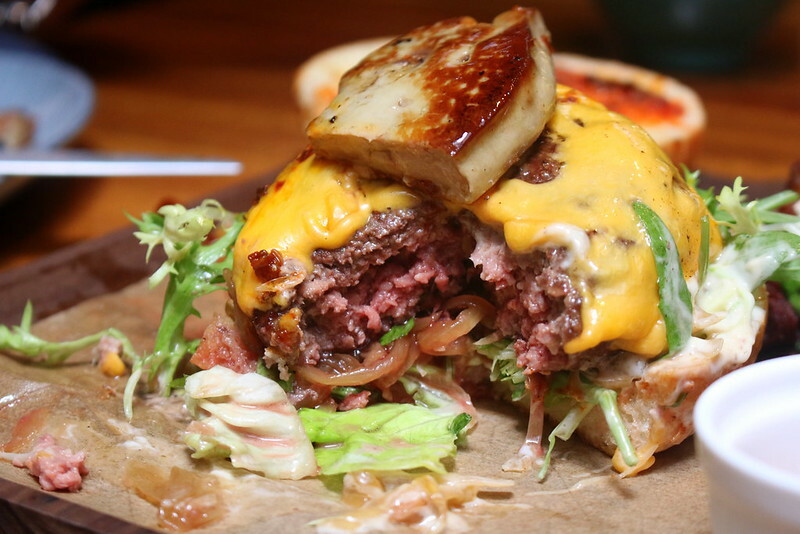 The patty is thick and juicy when done medium rare. While it was rich and decadent, I felt that it wasn't outstanding, especially after the amazing skewers in broth. I've never seen a prettier grilled cheese panini. 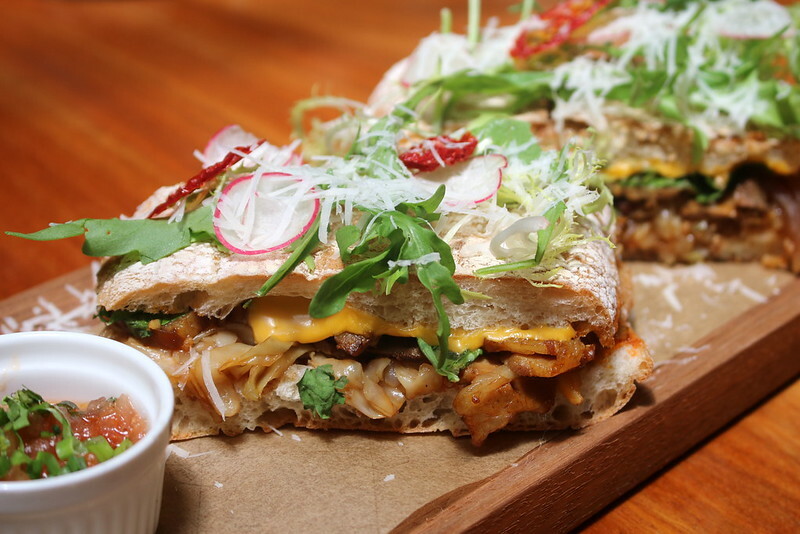 It's stuffed with braised pork belly slices and pickled cabbage. Served with fried potato. If you like ochazuke (Japanese 泡饭 pao fan), you might like this one. 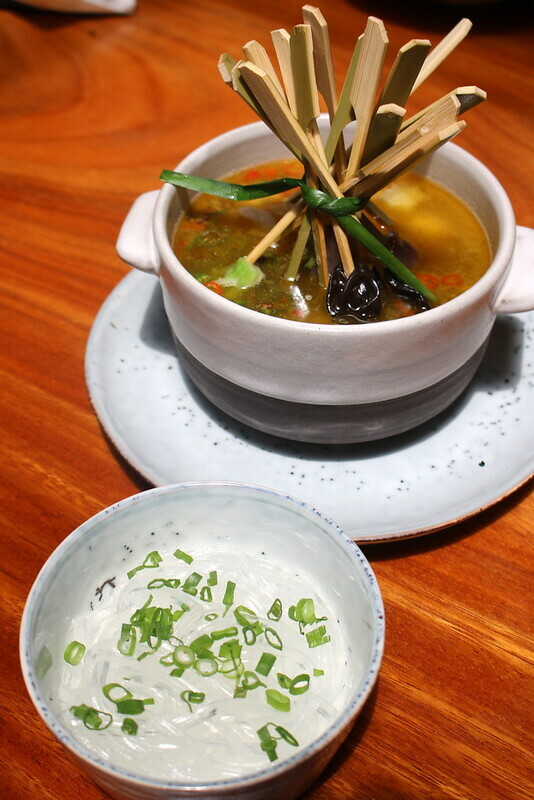 They pour a spicy broth into a bowl of steamed Niigata rice with charcoal grilled barramundi and mentaiko. 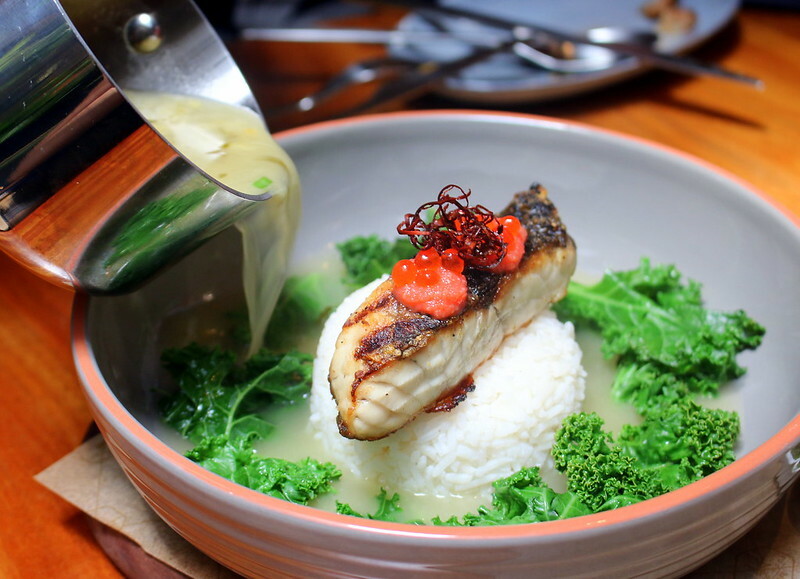 The fish broth's flavour profile is enhanced with chili padi, Hainanese yellow chilli, pickled mustard greens. 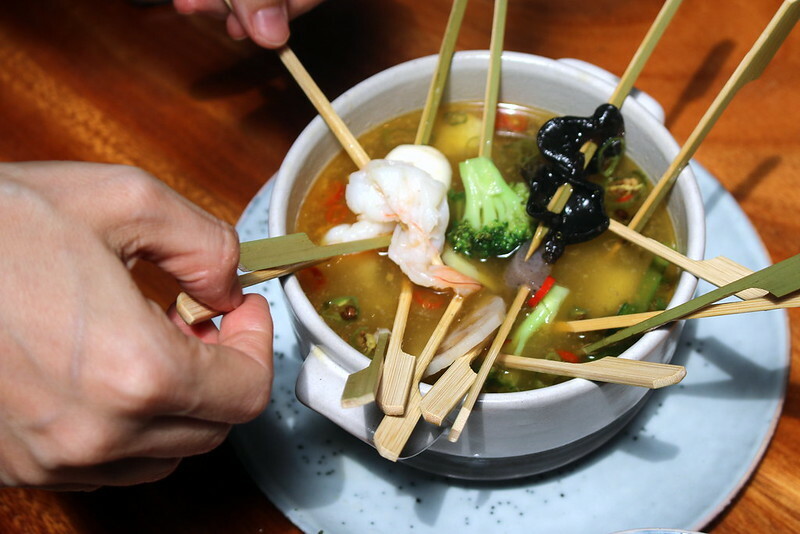 It was pleasant, but it can't beat the Fortune Skewers broth. This is the Asian version of Bolognaise using 炸酱 Cha Jiang Sauce (mince sauce), so it's more soy than tomato-based. The beautiful onsen tamago was just waiting to be broken and mixed in. The pasta becomes extra thick and velvety with the runny egg. We had the non-spicy version. I'd go for the spicy version (add S$2) next time as I felt it really needed a spicy kick. You can enjoy this with rice or pita bread. People who can't take spicy heat will enjoy this one; it isn't too spicy. Sometimes a simple dish like this is all the comfort food we need. 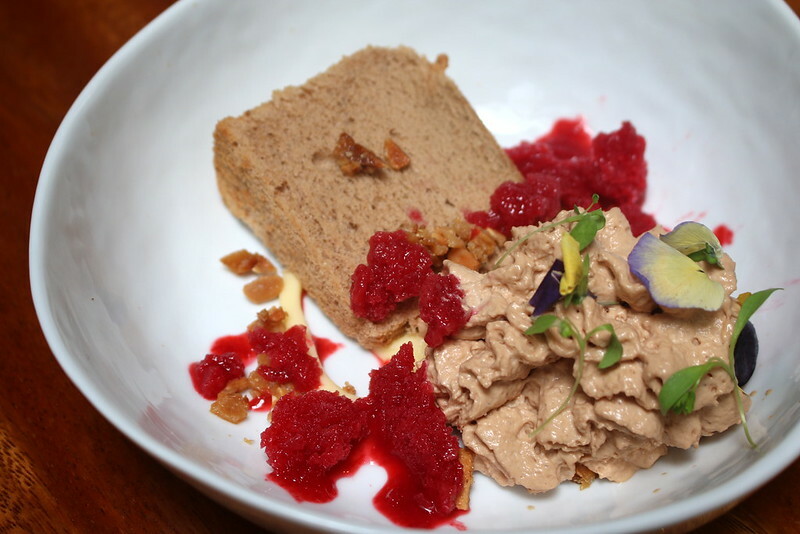 Desserts are really pretty here too. I'm not a dessert person, so I'll just leave you with the descriptions. This comes with milk chocolate foam, yuzu curd, earl grey chiffon, almond nougatine. Deep fried glutinous rice cake with Okinawan black sugar syrup. 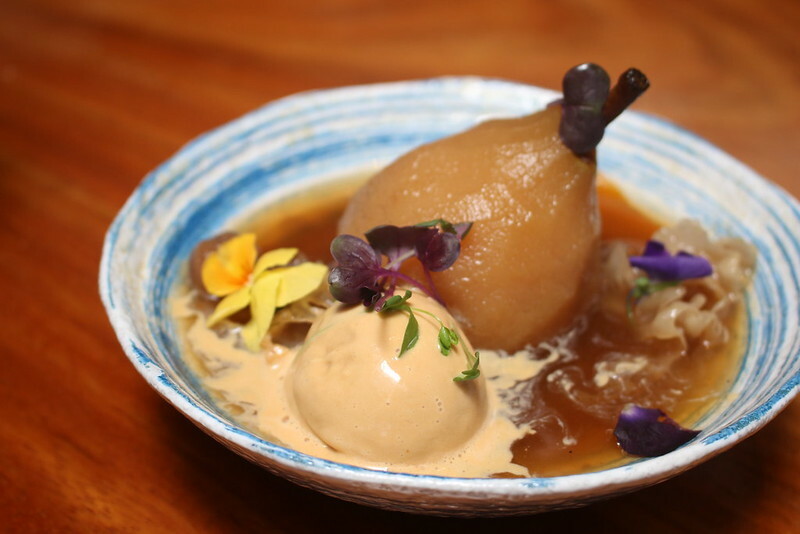 red dates, snow fungus, orange peel, and caramel orange ice-cream. Some folks may prefer a liquid dessert, i.e. cocktails! 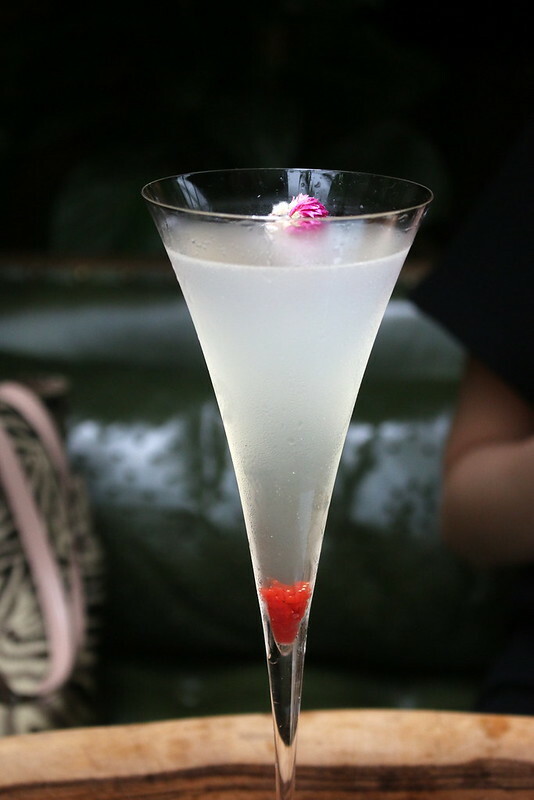 The Bar serves an extensive drinks list from specialty coffees and teas, to fresh juices, smoothies and beer, old world and new world wines, spirits, as well as classic and original cocktails. 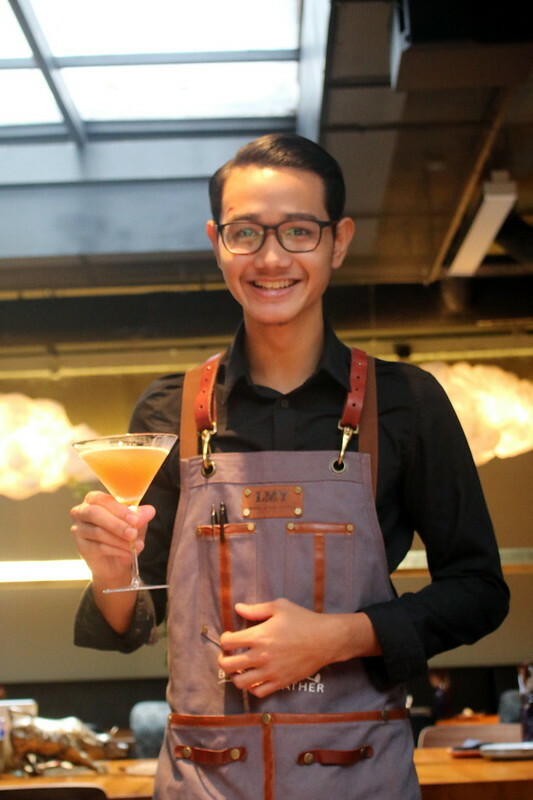 Ask the mixologist for something bespoke. Many thanks to Birds of a Feather for the lovely experience!